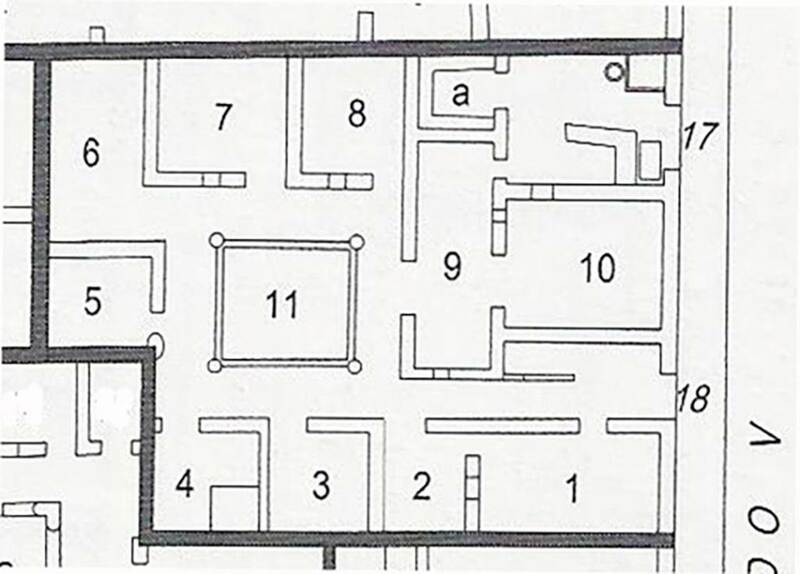 According to Wallace-Hadrill, this entrance led to a shop with counter, and a rear room, which was linked to the dwelling at IV.18. 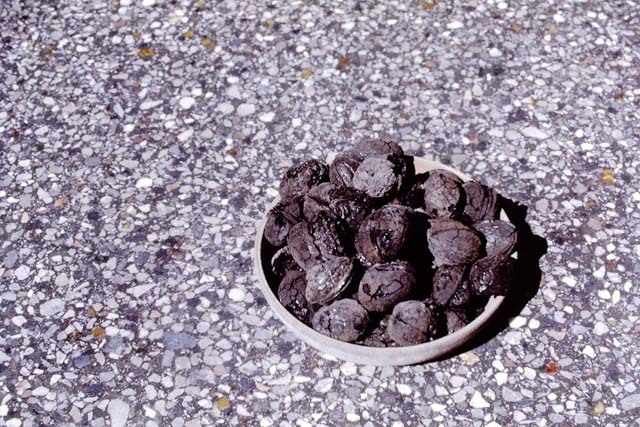 Pots, pans and walnuts were found here. Maiuri wrote (in 1936?) 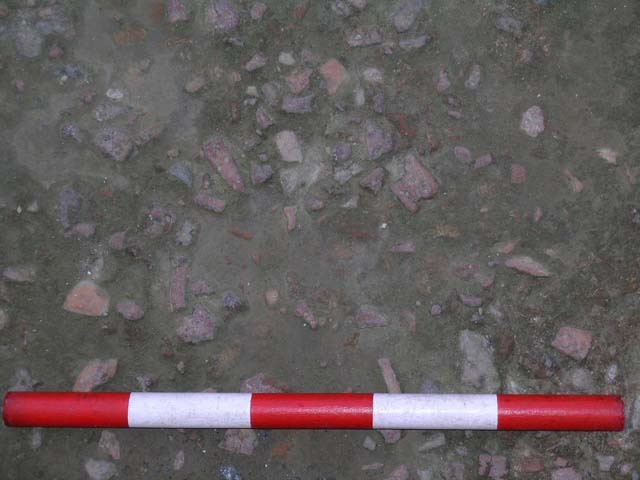 that the rather small shop had a counter just inside the threshold upon which are exposed nuts (recovered from the great dolium half buried in the ground), some bronze utensils and two lamps; near to the entrance are the remains of a hearth. Painted on the wall behind the counter there is a Priapic figure, a large round bellied dolium and a female figure with a tintinnabulum and a purse in her hands, all emblems against the evil eye. The little room behind served as a back of shop room or storeroom, it had a low podium all around and there were holes made for the wooden shelf supports. Higher up on the walls, the painted dado of a room on the upper floor could have been seen, painted with green bushes on a white background. A leaden water tank was found in this room. 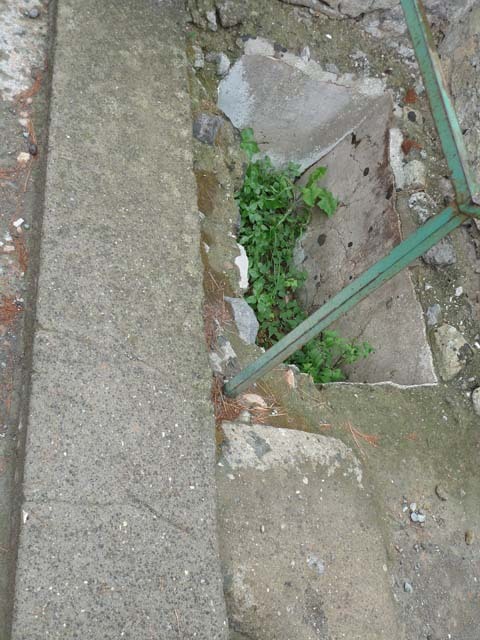 IV.17, Herculaneum, September 2015. 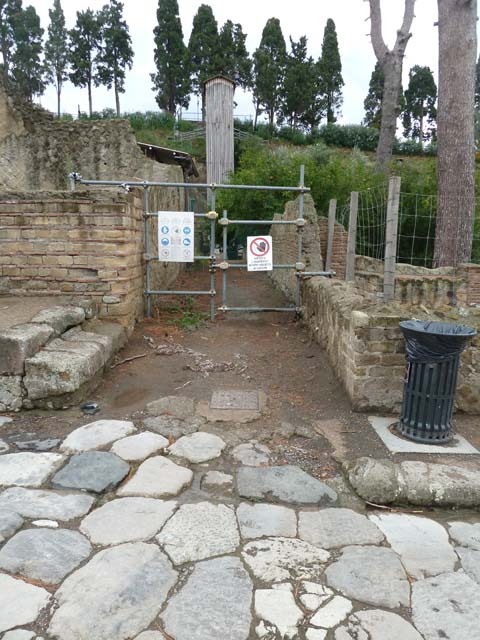 Looking towards entrance doorway on west side of Cardo V, Inferiore. 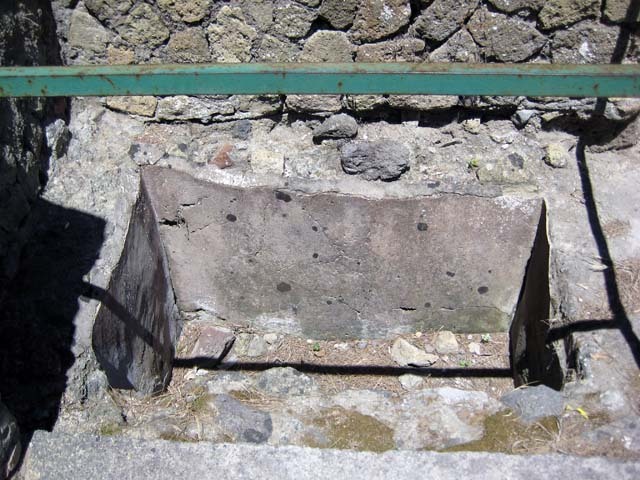 IV.17, Herculaneum, May 2006. General view, looking west. Photo courtesy of Nicolas Monteix. 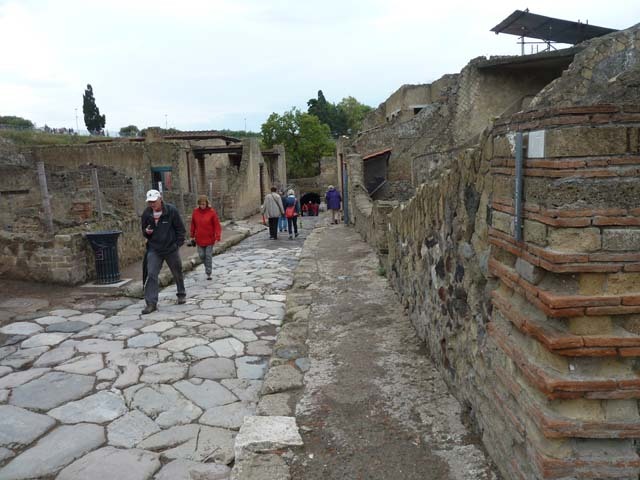 IV.17, Herculaneum, October 2015. 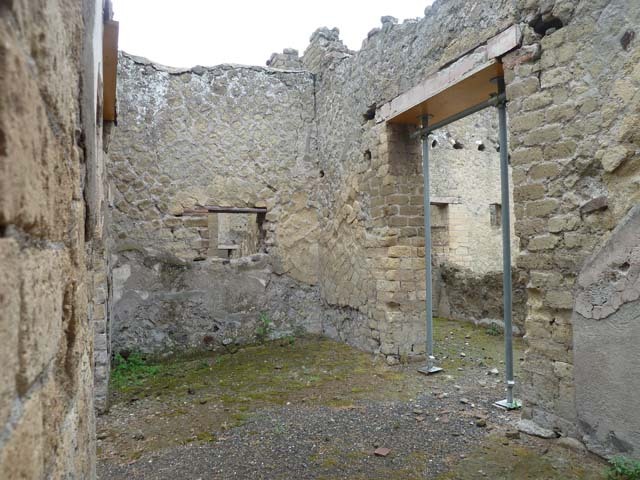 Looking towards entrance doorway on west side of Cardo V, Inferiore. IV.17 Herculaneum. October 2012. Looking towards west wall, from entrance. Photo courtesy of Michael Binns. 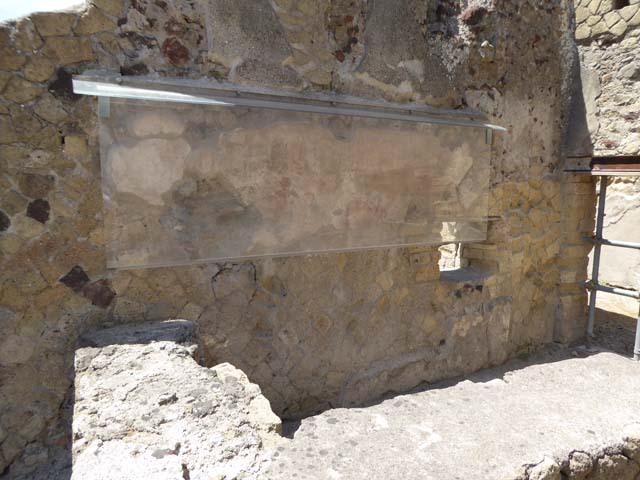 IV.17, Herculaneum, September 2015. Looking towards south side of entrance doorway. 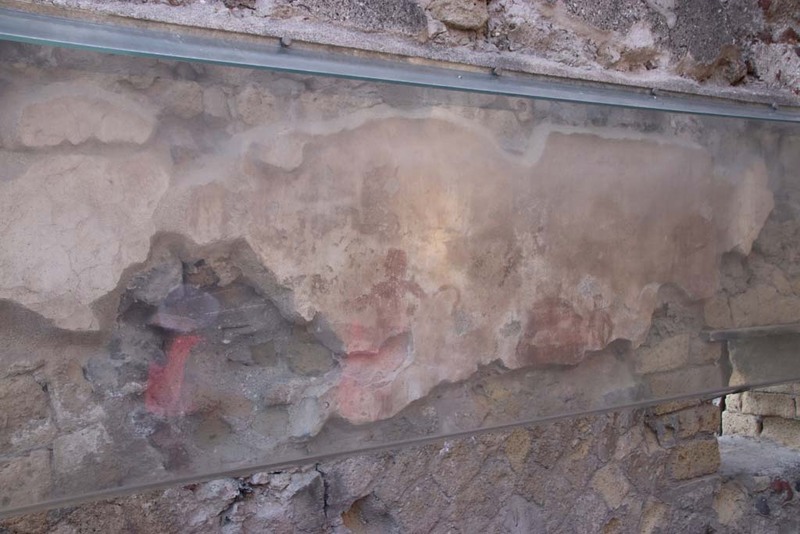 IV.17 Herculaneum. October 2012. Looking west across bar-room, from entrance. Photo courtesy of Michael Binns. 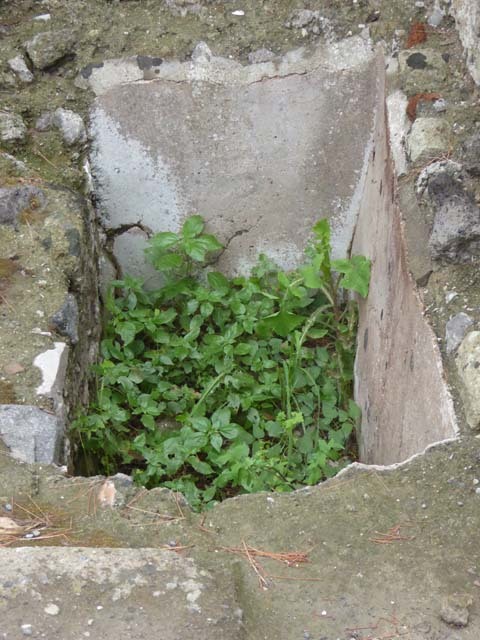 Small storage recess for the provisions, buried in front of the counter in the south-east corner of the bar-room, and with its walls still covered in plaster. 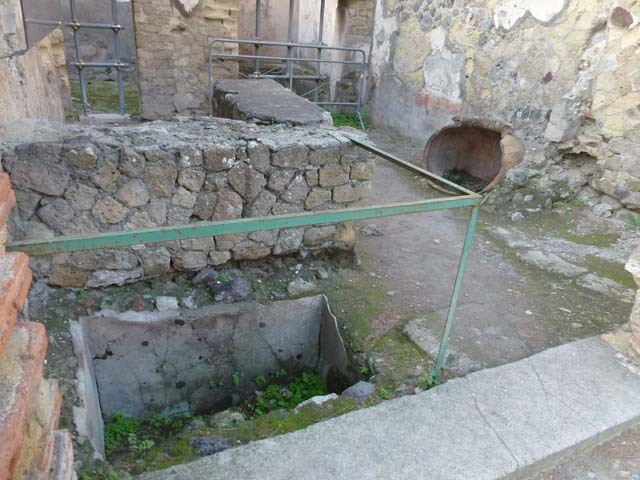 IV.17, Herculaneum, October 2015. Looking south into small storage recess. 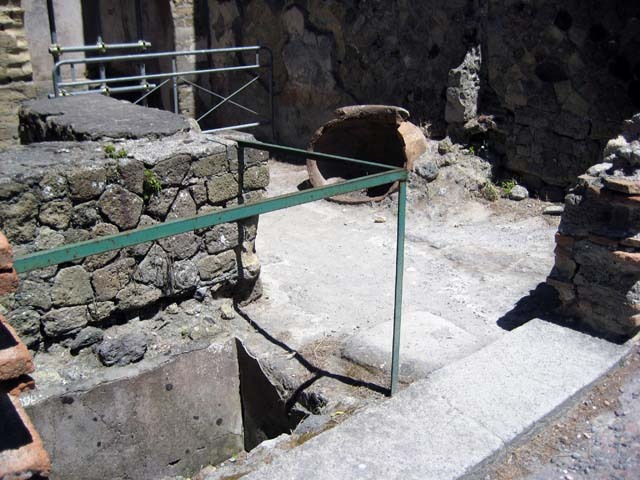 IV.17, Herculaneum, June 2011. Looking west into small storage recess. IV.17, Herculaneum, June 2011. Looking towards sales counter and painting on south wall. 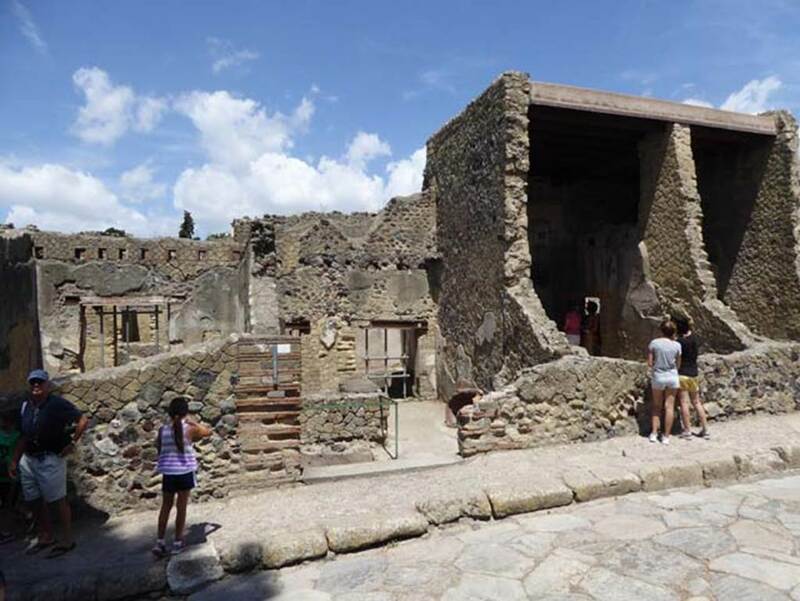 IV.17, Herculaneum, July 2015. Looking south towards the remains of the Priapus figure painted on the wall behind the sales counter. 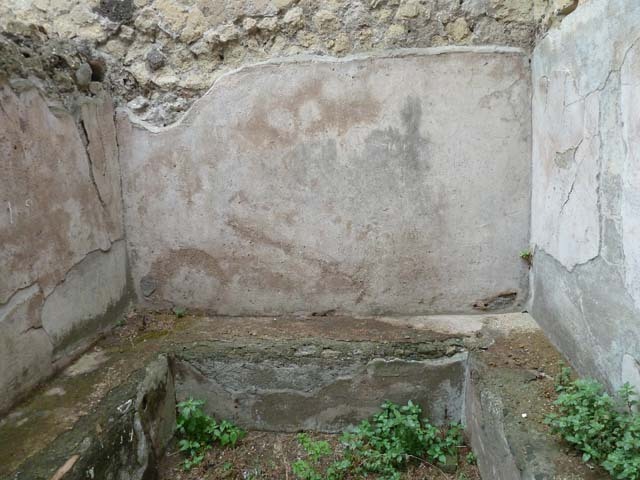 IV.17, Herculaneum, October 2015. 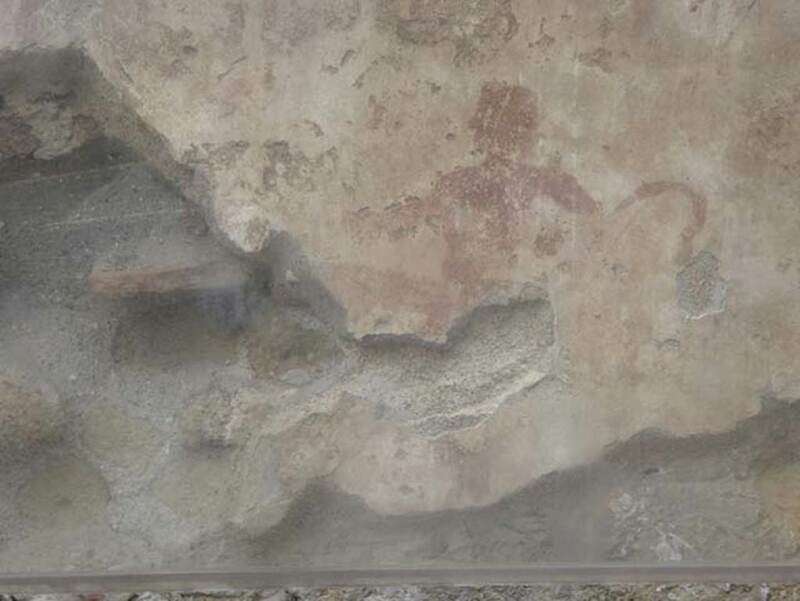 Remains of the Priapus figure painted on the wall behind the sales counter. 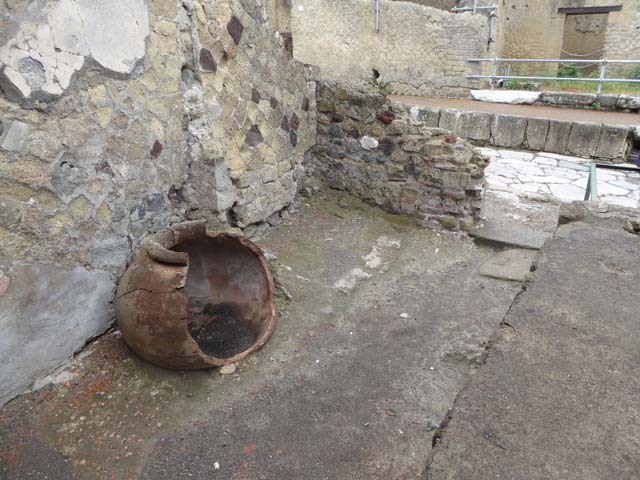 IV.17, Herculaneum, September 2015. 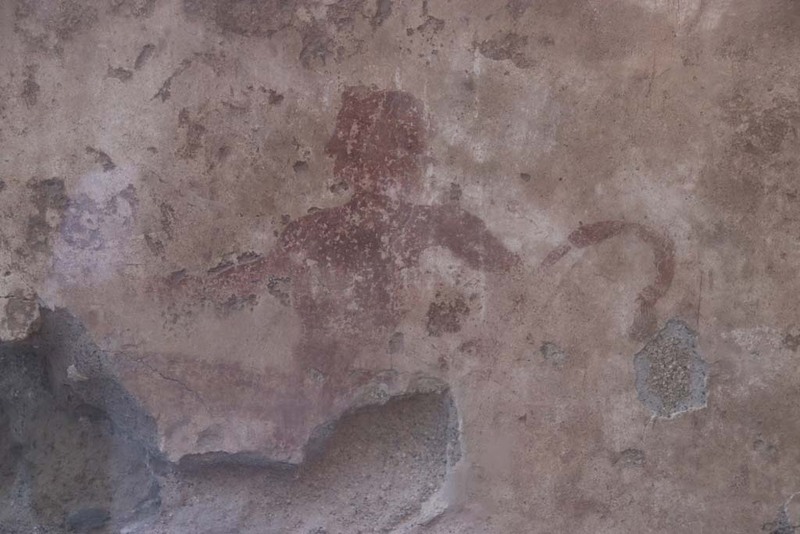 Remains of the Priapus figure painted on the wall behind the sales counter. The figure of Priapus painted on the wall behind the sales counter would have been placed there to keep the “evil eye” away. 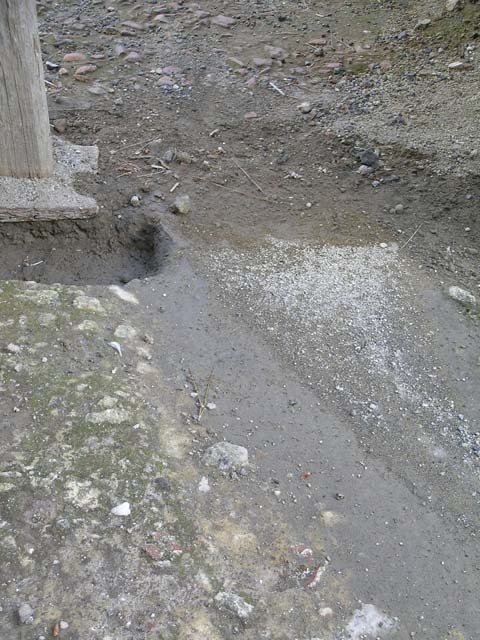 IV.17, Herculaneum, October 2015. 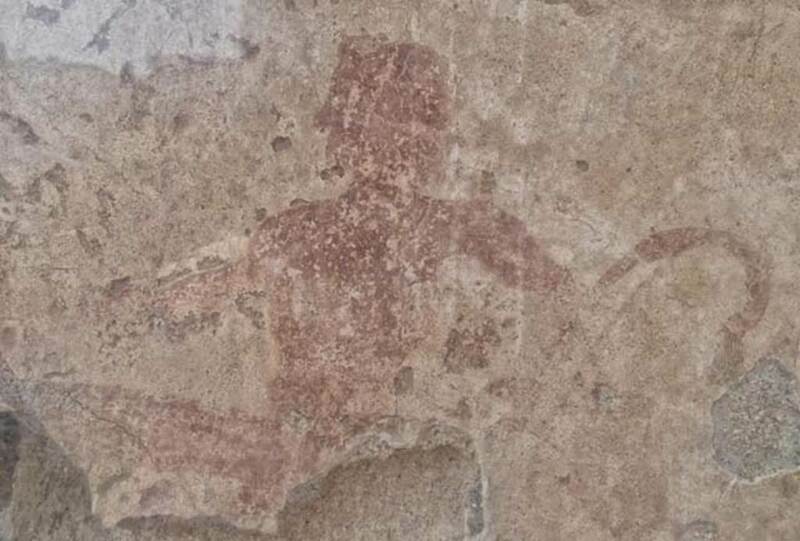 Detail of the Priapus figure painted on the wall behind the sales counter. 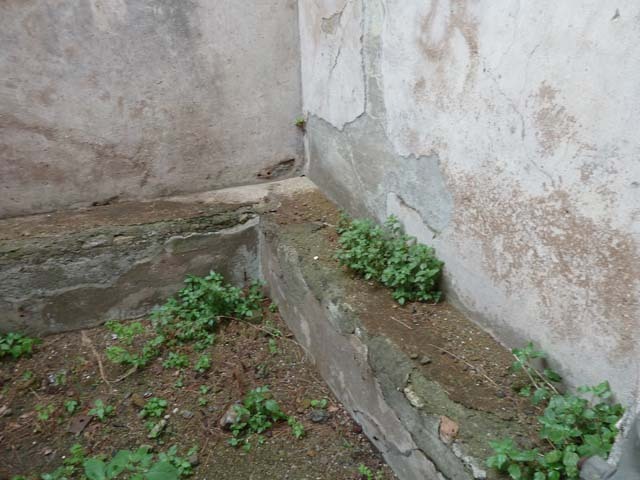 IV.17, Herculaneum, September 2015. Detail of painted Priapus. 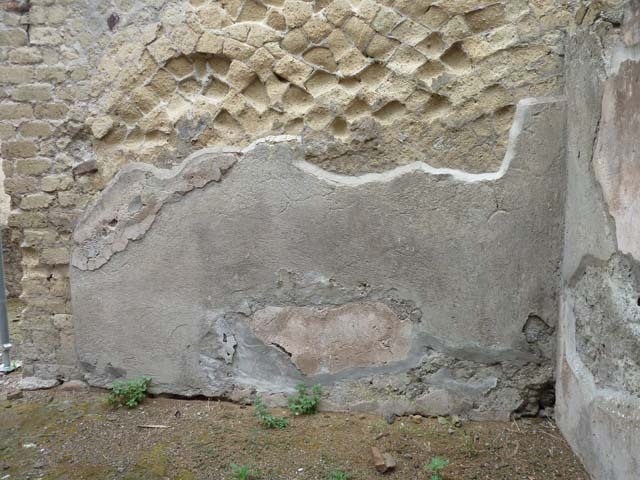 IV.17, Herculaneum, April 2018. Detail of painted Priapus. Photo courtesy of Ian Lycett-King. 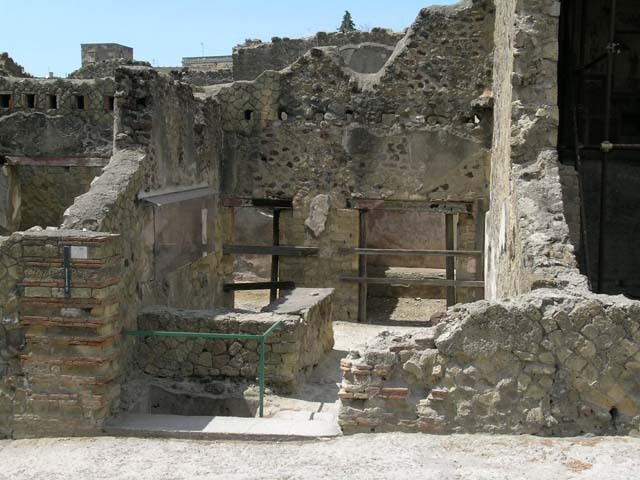 IV.17, Herculaneum, June 2011. Looking north-west across sales room. Photo courtesy of Sera Baker. 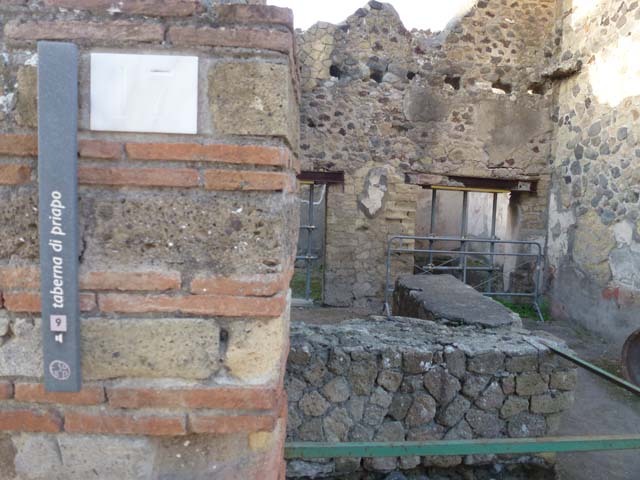 IV.17, Herculaneum, October 2015. Looking east across north side of bar-room. Photo courtesy of Michael Binns. 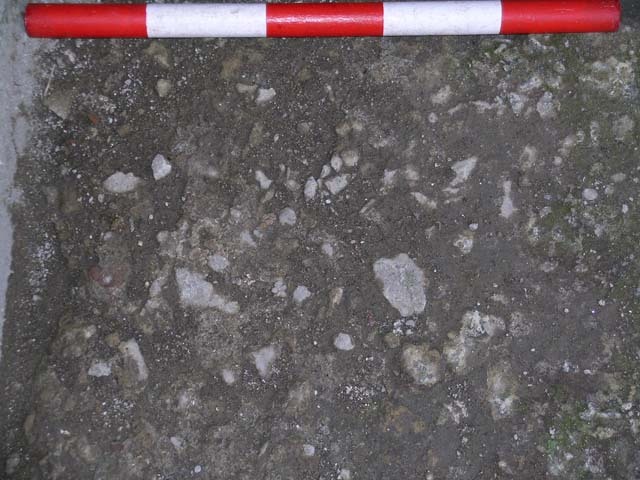 Looking east along north side of bar-room, where there was a hearth and a buried dolium, in which some walnuts were discovered. Walnuts. 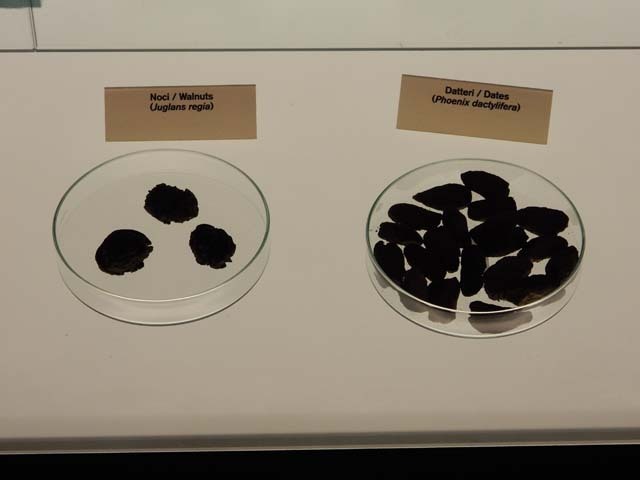 1968 photo taken in the Naples Museum, not necessarily the same walnuts as found in the Bar of Priapus. IV.17, Herculaneum, June 2011. Looking towards north-west corner with doorway to rear room. 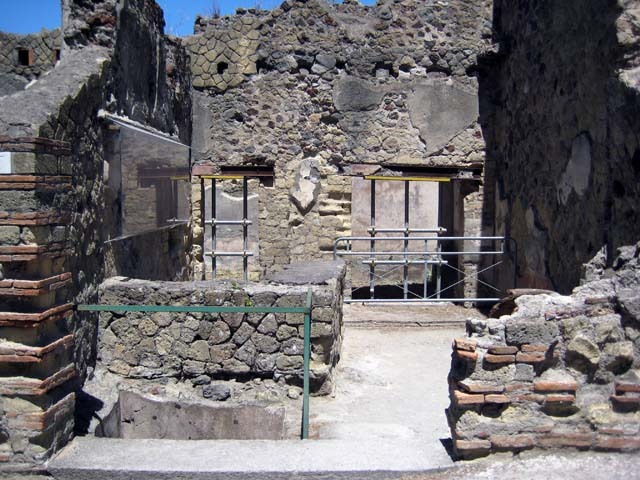 IV.17, Herculaneum, May 2004. Floor at rear of bar. Photo courtesy of Nicolas Monteix. 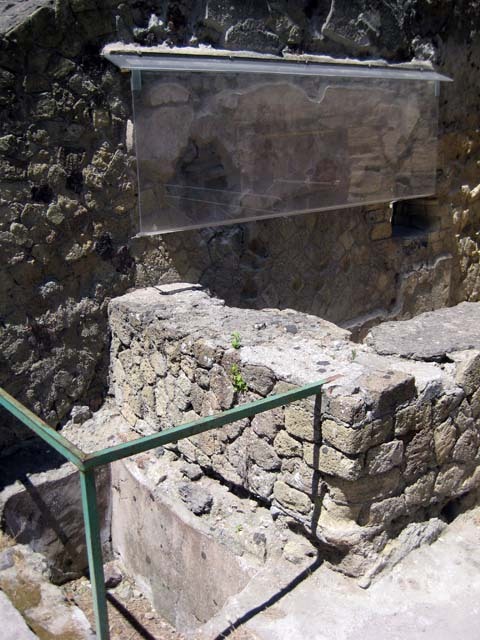 IV.17, Herculaneum, May 2004. Flooring at rear of bar. Photo courtesy of Nicolas Monteix. 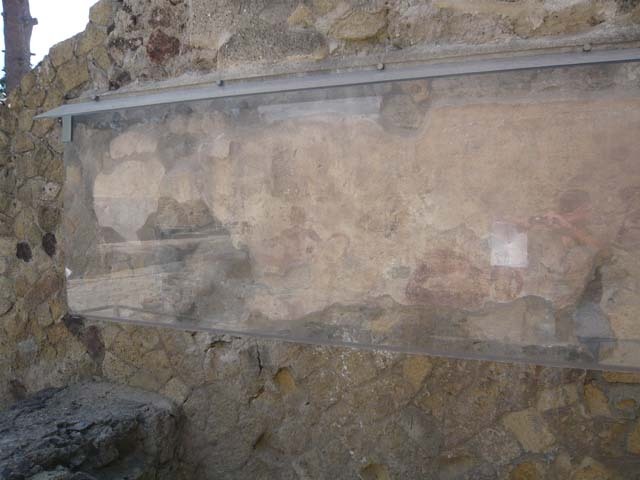 IV.17, Herculaneum, May 2004. Detail of flooring. Photo courtesy of Nicolas Monteix. 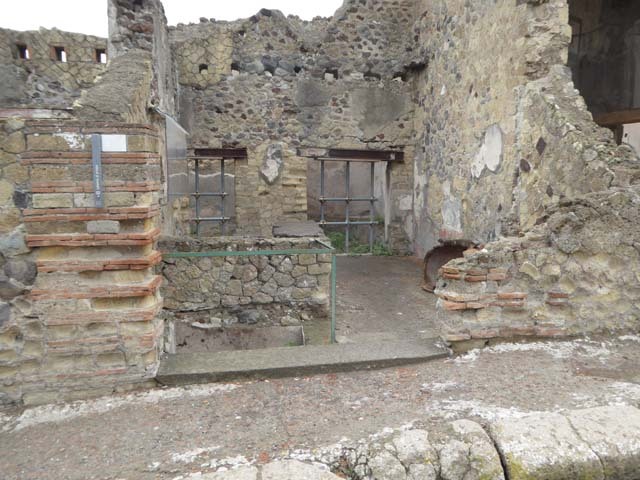 IV.17, Herculaneum, October 2015. Looking west from bar-room towards an area with benches/podiums on three sides. Looking west from bar-room towards an area with benches/podiums on three sides, perhaps a rear room for the bar clients. 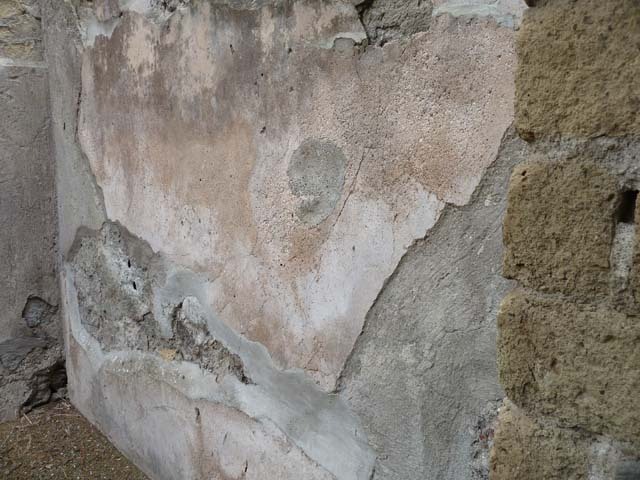 IV.17, Herculaneum, September 2015. South side of rear room with bench/podium. 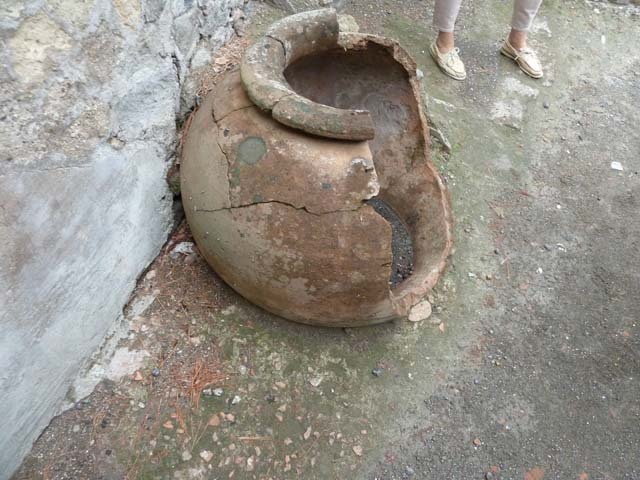 IV.17, Herculaneum, September 2015. North side of rear room, with bench/podium. 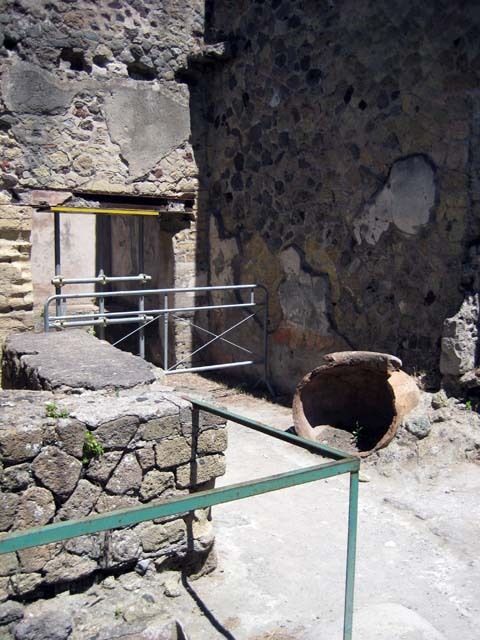 IV.17, Herculaneum, May 2005. North wall on upper floor room above rear room with bench/podium. Doorway in south-west corner of bar-room leading to vestibule separating the bar-room from the owner’s dwelling, see IV.18, room 9. 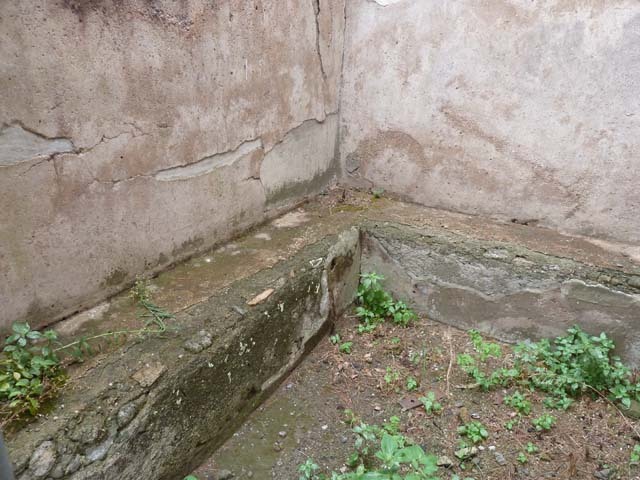 IV.17, Herculaneum, September 2015. North wall of vestibule. 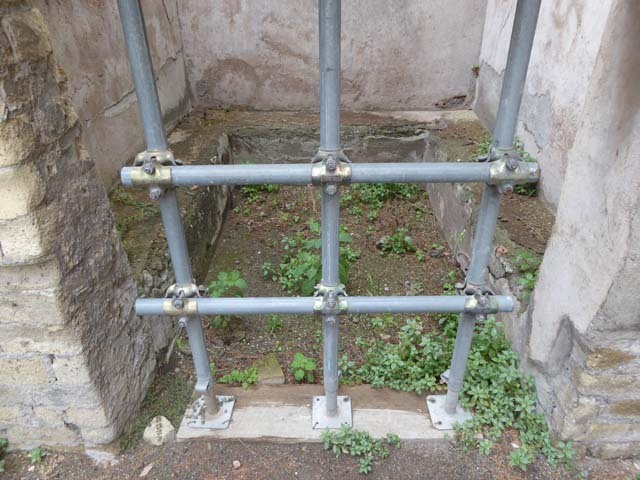 IV.17, Herculaneum, September 2015. West wall of vestibule. 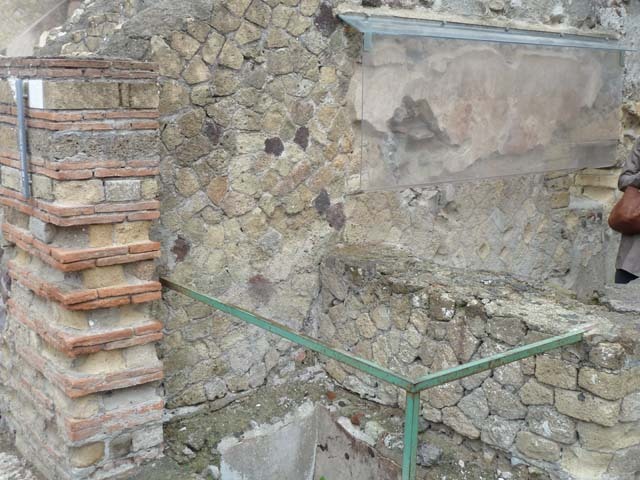 IV.17, Herculaneum, September 2015. Looking towards south-west corner of vestibule. 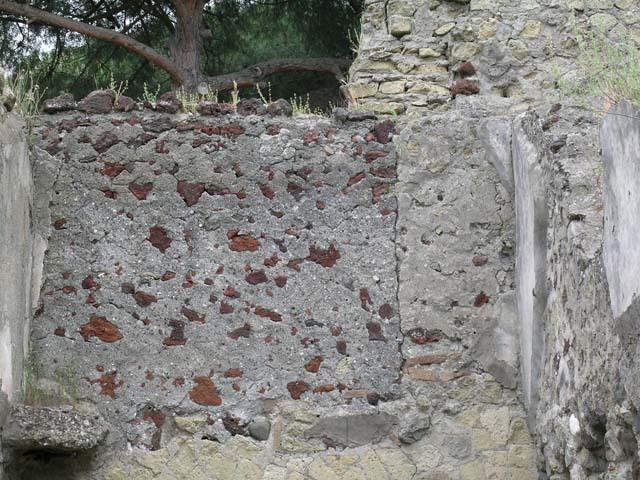 On the left is a doorway into the triclinium, and on the right is the doorway into the small tetrastyle atrium. 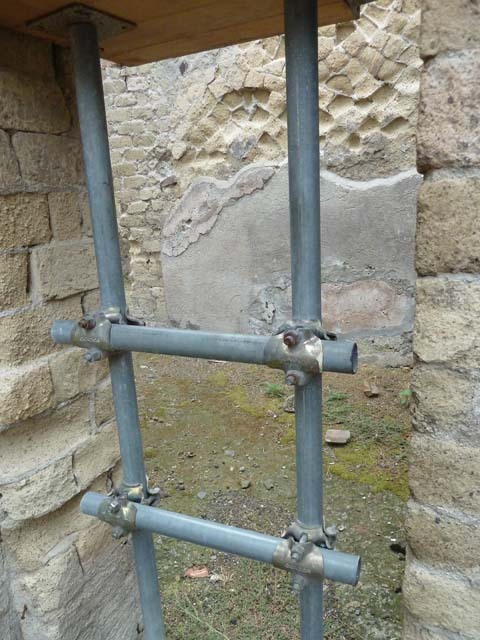 Cardo V, Herculaneum, September 2015. Looking south from near IV.17, on right.